Sept. 11, 2017 - Archaeologists explored for the first time a 3,500-year-old tomb near Luxor, Egypt. 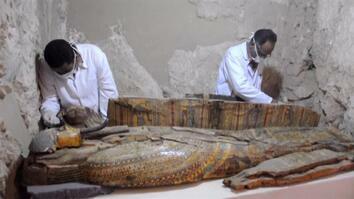 The tomb belonged to a goldsmith and his wife, and includes a crumbling statue of the pair. The family lived during Egypt's 18th Dynasty. 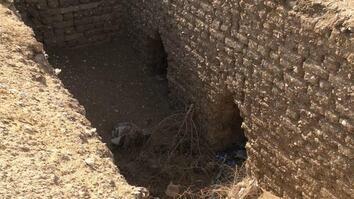 Archaeologists also found statuettes, mummies, pottery, and other artifacts. They hope that its contents may yield clues to other discoveries. 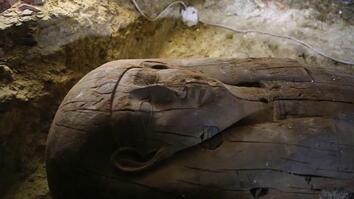 Click here to read Get a First Look Inside a Newly Opened Egyptian Tomb.